Quite a day for news. First the economy. The aim is to sabotage the American economy. No one in the deep state, whether they are in the “public service” or George Soros, will be affected. I think higher rates are a positive over the longer term, but everything is now aimed at the next election in 2020. Instability is the aim, so we shall see. The Republicans in Congress could have built the wall and at more or less negligible cost. Will not do it. Border protection is the last thing on their minds. And if you want more transformative news on the day, not even mentioned at Drudge. From The BBC. 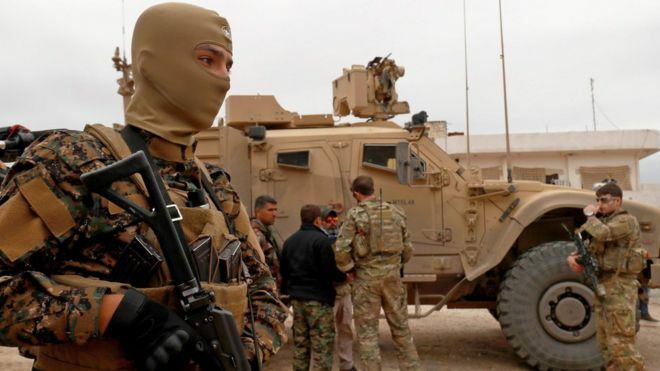 The Trump administration says US troops are being withdrawn from Syria, after the president said the Islamic State (IS) group had been “defeated”. I can only hope this is an accurate reflection of circumstances on the ground. The limited coverage in the American media might even mean this is a positive story that could even reflect well on the President. This entry was posted in Media, Politics - international and tagged Syria, The Fed, The Wall by lawofmarkets. Bookmark the permalink.